David Elder practices communications, competition and privacy law with Stikeman Elliott LLP, where he serves as the firm's Chief Privacy Officer. 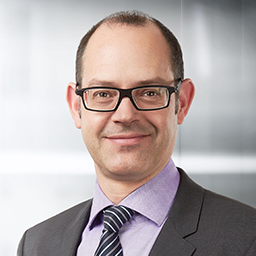 He has also been retained as Special Digital Privacy Counsel to the Canadian Marketing Association, in which role he advocates and advises on a range of electronic privacy issues, including spam regulation. He provides privacy and marketing compliance advice to a wide range of Canadian and international businesses conducting both "bricks and mortar" and online activities, and has also been an active participant in legislative and policy developments respecting privacy, lawful access and spam. Based in Ottawa, he has 25 years of experience gained in private practice, government and corporate settings. In addition to serving as Legal Counsel to the CRTC and running his own practice, he was formerly Vice President, Regulatory Law with Bell Canada, where he also served as the equivalent of Chief Privacy Officer. David writes and speaks frequently on issues respecting privacy and the regulation of marketing communications.